Canon to release 'entry level' full-frame camera? 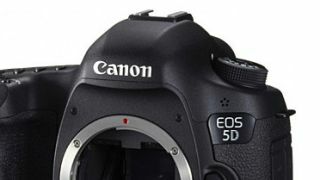 Could the 5D Mark III be getting a new stablemate this year? It's only been a few weeks since the Canon 5D Mark III was announced, but already the internet rumour mill is suggesting that there will be another full-frame model before the year is out. With its three grand price tag, the 5D Mark III certainly isn't cheap, especially when you consider that its predecessor can now be picked for as little as £1200 if you know where to look. For many, the 5D Mark II was an affordable route to full-frame shooting, and has remained a stalwart of the high end enthusiast/semi-pro ever since it was announced. This year however, the 5D Mark III finally made its debut and many were left a little underwhelmed by its megapixel count and high price. Many were expecting that the new camera would rival the 36 million pixels of the Nikon D800, so were perhaps left a little disappointed that the 5D Mark III's sensor weighs in at 'just' 22 million. Now however, rumours are circulating to suggest that Canon has another ace up its sleeve in the form of a cheaper full-frame model that will appear in the autumn, conveniently timed for the Photokina trade show taking place in September. For a few weeks before the 5D Mark III was launched, persistent rumours suggested that a split in the line was coming, with a '5D X' housing a 46 million pixel sensor, could these rumours have jumped the gun by a few months? Stay tuned for more updates and rumours in the coming weeks and months.